Customers looking for a professional and dependable Tampa landscaping company can rely on Evergreen Total Landscape. We have been serving the Tampa Bay area and beyond for more than 25 years and we treat every property we work on as if it were our own. Customers love us because they know we don’t consider our job finished until they’re completely satisfied. At Evergreen, we pride ourselves on actively managing the sites we maintain no matter what service we perform. We conduct frequent inspections of the land we work on, ensuring that if a problem arises, it will be addressed quickly and won’t be a cause of undue stress for our customers. We also put our exceptional knowledge and experience to good use as we maintain landscapes, taking location and soil into consideration to ensure plants get the exact amount of sunlight they need to grow to their ideal size. 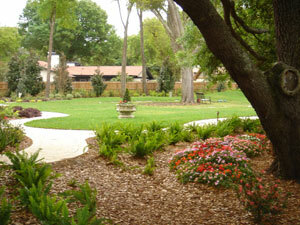 For additional information about our Tampa landscaping company, please call or e-mail us today. We’re happy to serve customers located in other Bay area cities including Lakeland, St Petersburg, Clearwater, and more.